Nick Chaffe recently created this fantastic illustration for The Connector magazine. 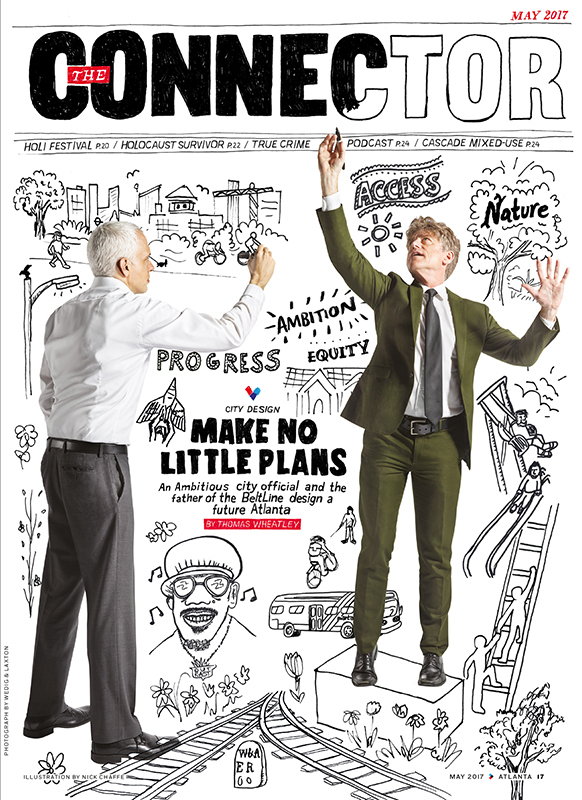 Nick’s hand drawn artwork depicts a city officials plans for Atlanta and is full of energy, bringing the magazines cover to life. To see more of Nick’s work, click here. Nick Chaffe is represented by Meiklejohn. Published on 24 May 2017.